We have several ministries and groups that meet regularly on our Campus. This Ministry meets for worship at 2pm on Sunday afternoons. Contact Pastor Moises for more information. casabendicionatlanta@gmail.com. AA Meets Tuesday Evenings at 8pm. Contact Rick at 404-793-9636 or Rickdrewien@gmail.com for more information. Classical Conversations is a homeschooling program that meets on Tuesdays at our campus. Contact Tina thesavasukfamily@comcast.net for more information. Mondays & Wednesdays in the PFUMC Annex Building. Contact Daniel Yang at yang.mksn@live.com. 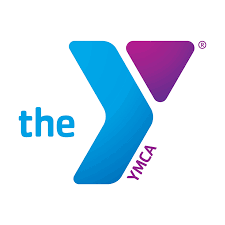 The YMCA Little School meets on Tuesdays, Wednesdays, and Thursdays. Contact Katie Furlough for more information: katieB@ymcaatlatnta.org 678-569-9622. This group meets monthly on the 2nd Monday. Contact admin@GAChristianCounselors.org for more information. Monthly meetings will be held on the second Tuesday of each month (except December).